More acts for the nine-day outdoor music event which begins on August 16 have been announced, including DJ Andrew Weatherall. 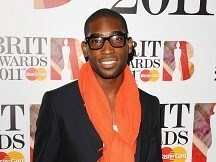 Tinie, whose debut album Disc-Overy went to number one in October 2010, was a big winner at this year's MOBO awards when he was awarded Best Newcomer and Best Video for his single Frisky. The Londoner, 22, is joined by Co Wexford rapper Maverick Sabre, who has previously teamed up with Professor Green, to play in Belfast on August 22. Dubliners Fight Like Apes will open for Liam Gallagher's Beady Eye on August 20. The band has already shared the stage with Kasabian and The Prodigy. Brighton 'indie-hop' duo Rizzle Kicks will be warming up the crowd for Plan B and Katy B on August 25, while over-18s can look forward to a dance music night when DJs Tiesto, Alex Metric and MCs Caspa and Rod Azlan take to the decks on August 26. Tickets for Tinie Tempah and Tiesto go on sale on Friday and more support acts are expected to be announced soon.